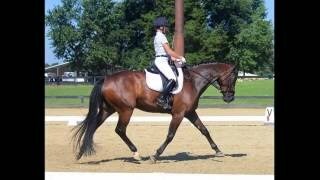 Standing 17.1H, Fritz is a handsome dark bay gelding that has great presence in the show ring. He is uphill in all three gaits with a naturally cadenced canter. He has shown the athletic ability and willingness to be a serious FEI prospect with a temperament suitable for an Adult Amateur or Junior/Young Rider.